The quality and quantity of nut production are fundamental to the economic viability of chestnut cultivation, yet recent reports indicate that severe damage due to moulds represents a significant problem for growers. We carried out an investigation of the agents of chestnut rot and internal fruit damage in three orchards in Italy. Black and brown rot, as well as insect damage, were found in all the areas examined. Brown rot appeared to be the main cause of damage, affecting 8% to 49% and 2% to 24% of nuts collected from the ground and from burrs, respectively. With respect to morphology and DNA sequencing analyses, fungal isolates obtained from brown rot were homologous with Gnomoniopsis sp. obtained from Dryocosmus kuriphilus (Yasumatsu) galls and with Gnomoniopsis castanea and Gnomoniopsis smithogilvyi described on chestnut in Italy and Australia, respectively. The same fungus was also isolated from the bark of one- and two-years-old healthy shoots at each site, supporting the endophytic behaviour of this rot agent. Brown rot symptoms on nuts associated with Gnomoniopsis sp. corresponded with those previously described by several authors and referred to as Phoma or Phomopsis endogena, suggesting a relationship between these fungi and Gnomoniopsis sp. It is to notice that the escalation of brown rot damage in Italy followed several periods of drought and probably the recent invasion of D. kuriphilus, both stress factors for chestnut trees. and pv. syringae associated with seedling and stem cankers. In: “Proceedings of international congress on chestnut”. Spoleto (Italy) 20-23 Oct 1993. E. Antognozzi ed., Spoleto, Italy, pp. 541-544. HPLC determination of sugars in varieties of chestnut fruits from Galicia (Spain). Journal of Food Composition and Analysis 17 (1): 63-67. Assemblages of endophytic fungi in coppice shoots of Castanea sativa. Mycologia 86: 648-655. Dryocosmus kuriphilus Yasumatsu: an outline seven years after the first report in Piedmont (Italy). Acta Horticolture 866: 341-348. Preliminary studies on endophytic fungal communities of Musa acuminata species complex in Hong Kong and Australia. Fungal Diversity 1: 27-51. La pourriture noire des glands. Revue Forestiere Française 3 (2): 101-115. Microfungi on land plants. An identification handbook. The Richmond Publishing, New York, USA, pp. 868. An epidemic of Gnomonia pascoe on nuts of Castanea sativa in the Cuneo area. Acta Horticolture 866: 363-368. Effect of chestnut ink disease on photosynthetic performance. Journal of Phytopathology 152 (3) 138-144. Chemical composition and health aspects of Chestnut (Castanea spp.). In: “Tree nuts: composition, phytochemicals, and health effects” (Alasalvar C, Shahidi F eds). CRC Press, Taylor & Francis, Boca Raton, FL, USA, pp 171-184. Endophytes in changing environments - do we need new concepts in forest management? iForest 6 (2): 109-112. Gnomoniopsis associated with necrosis of leaves and chestnut galls induced by Dryocosmus kuriphilus. New Disease Reports 21: 15. Study of water curing for the preservation of marrons (Castanea sativa Mill. Marrone fiorentino cv). Postharvest Biology and Technology 56: 95-100. A new strategy of environmentally safe control of chestnut tortricid moths. IOBC/WPRS Bulletin 74: 117-123. Uber Fusicoccum castaneum. Sacc. Annales Mycologica XIX: 205-207. Fungal endophytes: diversity and functional roles. New Phytologist 182: 314-330. Fungi Gallici lecti a cl. viris P. Brunaud, C.C. Gillet et Abb. Letendre. Michelia 1: 500-538. Shuttleworth LA, Liew ECY, Guest DI (2012) Gnomoniopsis smithogilvyi Fungal Planet 108. In: “Fungal Planet Description Sheets: 107-127” (Crous PW, Summerell BA, Shivas RG, Burgess TI, Decock CA, Dreyer LL, Granke LL, Guest DI, Hardy GEStJ, Hausbeck MK, Hüberli D, Jung T, Koukol O, Lennox CL, Liew ECY, Lombard L, McTaggart AR, Pryke JS, Roets F, Saude C, Shuttleworth LA, Stukely MJC, Vánky K, Webster BJ, Windstam ST, Groenewald JZ eds). Persoonia 28: 107-127. Survey of the incidence of chestnut rot in south-Eastern Australia. Australasian Plant Pathology 42(1): 63-72. A new species of Phomopsis on Castanea mollissima. Mycosystema 29(4): 467-471. Effects of the harvest method on the infestation of chestnuts (Castanea sativa) by insects and moulds. Journal of Phytopathology 155: 497-504. Botryosphaeriaceae as endophytes and latent pathogens of woody plants: diversity, ecology and impact. Fungal Biology Reviews 21: 90-106. The life cycle, pathology and taxonomy of two different nut rot fungi in chestnut. Australian Nutgrower 22 (2): 11-15. Nova addenda ad Mycologiam Venetam. Michelia 1(5): 453-487. Water stress and Sphaeropsis sapinea as a latent pathogen of red pine seedlings. New Phythologist 149: 531-538. Natural spread of Cryphonectria parasitica and persistence of hypovirulence in three Italian coppiced chestnut stands. Forest Pathology 38 (4): 227-243. Biological control of chestnut gall wasp by endophitic fungus Gnomoniopsius sp. In: Proceedings of the “Fifth International Chestnut Symposium”. Shepherdstown (WV - USA) 4-8 Sept 2012. ISHS Press, Leuven, Belgium (in press). Endophytism of Sclerotinia pseudotuberosa: PCR assay for specific detection in chestnut tissues. Mycological Research 109: 96-102. Gnomoniopsis castanea sp. 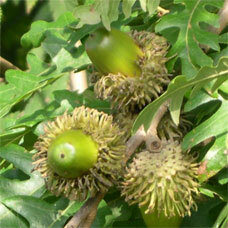 nov (Gnomoniaceae, Diaporthales) as a causal agent of nut rot in sweet chestnut. Journal of Plant Pathology 94: 411-419. Systematics of the genus Gnomoniopsis (Gnomoniaceae, Diaporthales) based on a three gene phylogeny, host associations, and morphology. Mycologia 102: 1479-1496. Phomopsis castanea, a seed-borne endophyte in chestnut trees. Australian Journal of Botany 47: 77-84. Preliminary studies on Phomopsis castanea and other organisms associated with healthy and rotted chestnut fruit in storage. Australian Journal Plant Pathology: 26: 37-43. Amplification and direct sequencing of fungal ribosomal DNA for phylogenetics. In: “PCR Protocols: a guide to methods and applications” (Innis MA, Gelfand DH, Sninsky JJ, White TJ eds). Academic Press, San Diego, CA, USA, pp. 315-322.